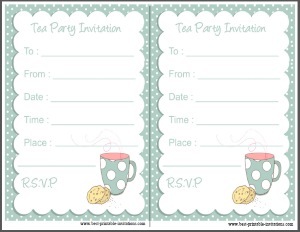 Looking for a tea party invitation? 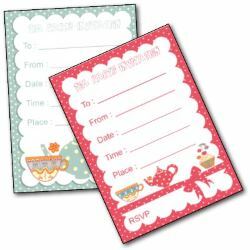 I have a range of beautiful invites on this site to help you find the perfect way to invite your guests to tea. On this page, are the polka dots! 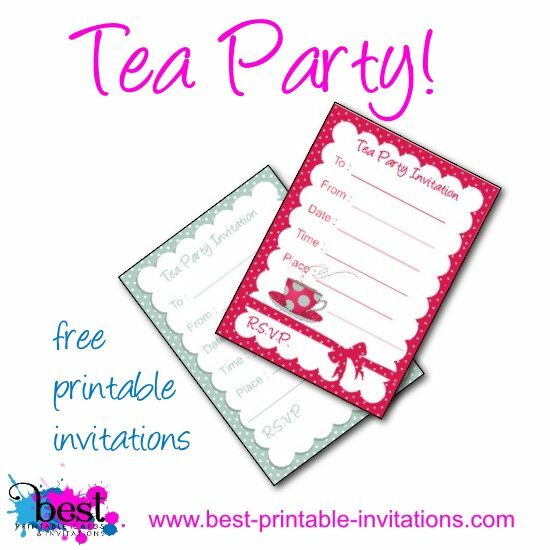 Two adult friendly free printable invitations complete with steaming teacups or mugs! Which do you prefer? 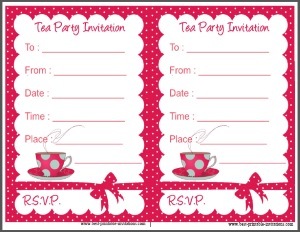 I love tea parties and don't need much of an excuse to throw one! Birthdays are good - but just about anything is cause for this delightful celebration. 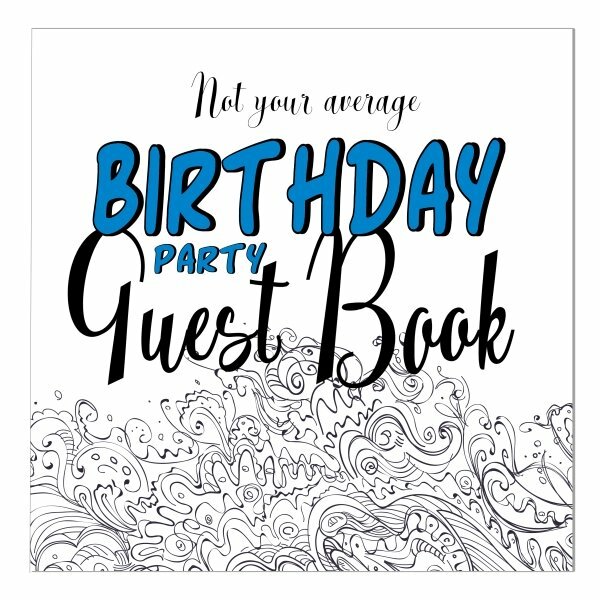 Invitations can be the first step to setting the tone for your party. Get that right, and your party is more likely to go with a swing! But how to choose the right invite? The invites on this page would work really well both for small informal gatherings, or for something larger and grander. They would be perfect for both adults and kids - but if you are having a kids tea party then you might like to look at these ones too. 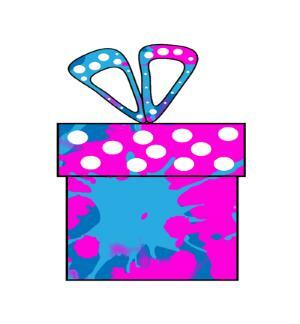 A pretty but bright polka dot and ribbon style. 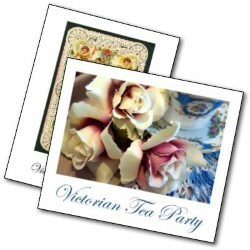 This invite features a matching tea cup to help set the tone. The free printable version prints two copies per page to make printing a little faster and easier. Make sure you have plenty of red ink before printing. If you have fallen in love with this design, then why not have your invitations printed and delivered. 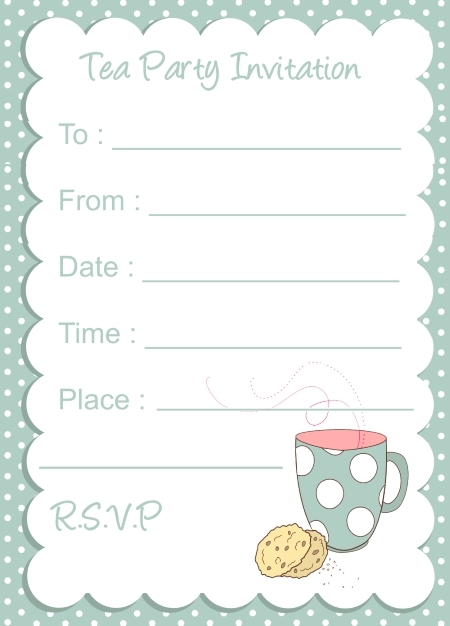 These invites are available on zazzle.com. 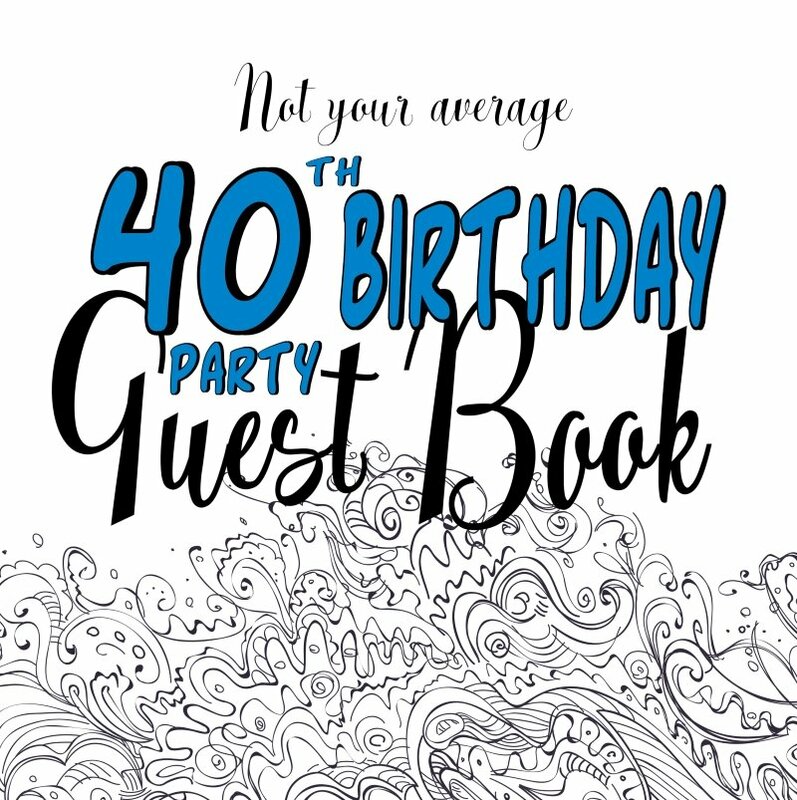 Personalize with your own party details before ordering as many (or as few!) as you need. 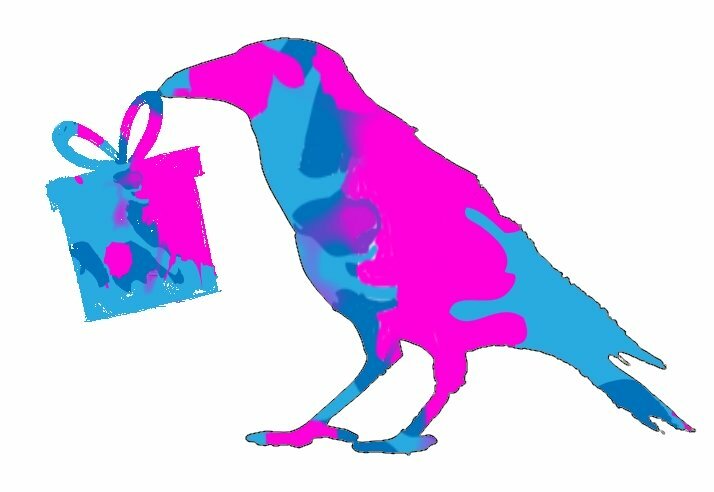 24 hour delivery available. More polka dots, but this lighter colored design features a mug instead of a cup. This would work really well for parties in your own home - or informal get-together's at the local coffee shop! 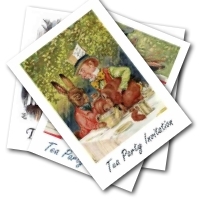 Tea parties are such fun to have, and you don't need to spend a fortune to make them special. If you are having it at home, there are lots of little decoration ideas that will make it magical. Take a look at my pinterest board for decoration ideas and recipes to inspire you. 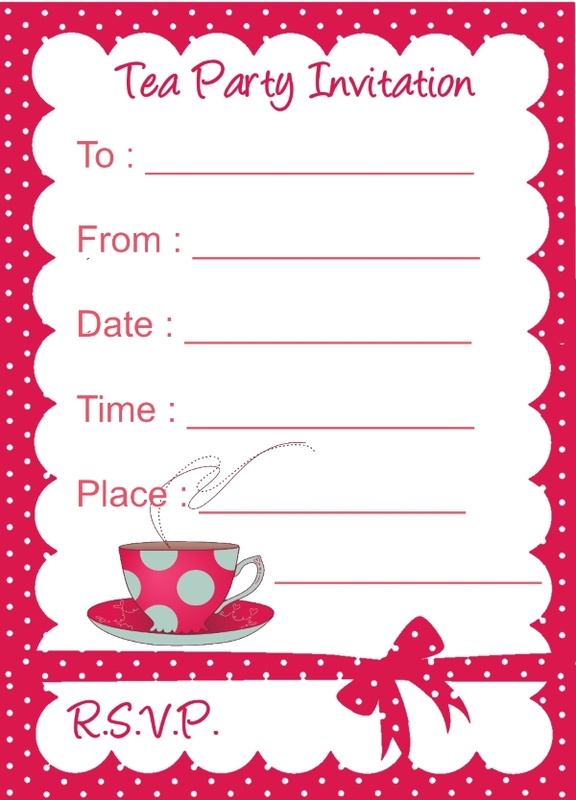 Follow Julie @ Best-Printable-Invitations.com's board Tea Parties! on Pinterest.